Seven rooms make up The Sun King’s ‘Grand Apartments’ and, as you progress from one to the next, your jaw will drop ever lower at their opulence. The Salon de Diane housed the King’s billiard table. Apparently, he was a crack shot, and next to the table were two rostrums which ladies would stand upon, to applaud his skill. The final room is the Salon d’Hercule, which features a magnificent fresco, The Apotheosis of Hercules, that took the painter François Lemoyne years to complete – although he obviously wasn’t too happy with it as he killed himself shortly afterwards. 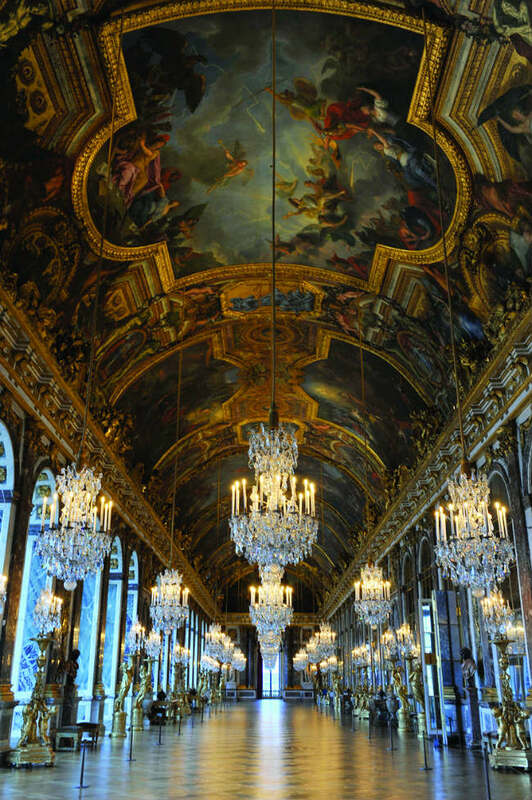 Elsewhere, there’s the King’s Chamber and the stunning, 75-metre Galerie des Glaces with its 357 mirrors. 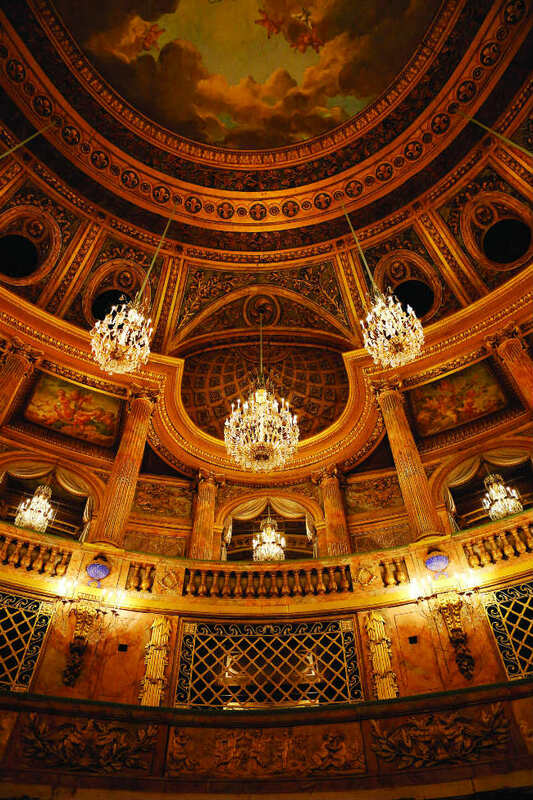 When it was eventually completed in 1770, the Opéra Royal, sited at the end of the north wing, was a marvel of engineering and Europe’s largest theatre, accommodating more than 1,300 spectators. The final stage of construction started in 1768, when hundreds of labourers were brought in to work 24/7. The acoustics and atmosphere are excellent thanks to the combination of all-wood construction and mirrors on the upper level. The first plays ever to be performed there were Persée by Jean-Baptiste Lully and Athalie by Jean Racine. Named after six of Louis XV’s daughters, these ten apartments boast intriguing stories. In one, a harpsichord is testament to the proficiency of one of his daughters, Victoire – Mozart dedicated his first six sonatas for the instrument to her. Another, the Cabinet de Madame Adélaïde, is where Louis XV’s mistress Madame de Pompadour lived. She was said to “have an extreme need for the studied elegance that comes from luxury”. Well, don’t we all? Separate from the main Château, the Classical Greek-styled Petit Trianon was where Marie Antoinette used to keep herself amply amused. Its standout features include the main hall, with its pristine white and green marble-tiled floor, the Grand Escalier’s wrought-iron and bronze-gilded banister, where you’ll see Her Highness’s initials, a head of Medusa statue on the first-floor landing, and a whole room that was solely dedicated to warming dinner plates. 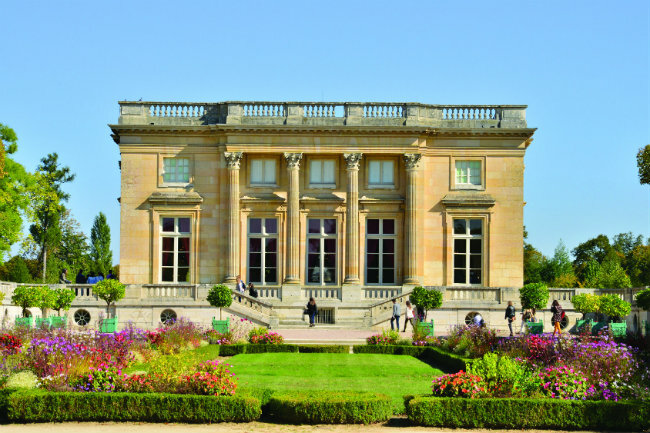 Sweeping around the outside of the building are the English-style Jardins du Petit Trianon. Louis XIV considered Versailles’ gardens to be just as important as the Château, which explains their mind-blowing intricacy and vastness. Hills were flattened, marshes were drained and whole forests were relocated in the landscaping process, which took 40 years and thousands of men – including whole army regiments – to complete. The resulting flowerbeds, pathways, fountains, statues, hedgerows and countless shrubs and trees are a horticulturalist’s idea of heaven. In addition, visitors to Versailles shouldn’t miss the Parterres d’Eau– two huge, rectangular ornamental ponds which both light up the Château and reflect its architectural glory. 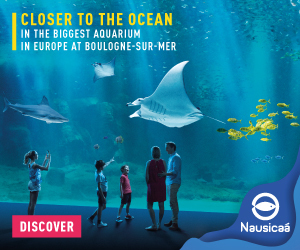 Until October 30 this year, there will be musical fountain shows, Les Grandes Eaux Musicales, taking place across the gardens’ water features, combining much splashing with suitably baroque classical music.